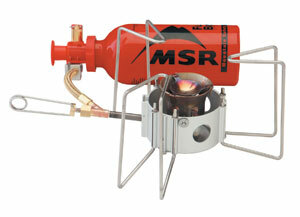 View cart “MSR WindBurner Stove System Combo” has been added to your cart. 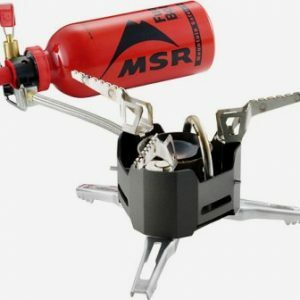 Combining award-winning Reactor technology with the features solo travelers need most, the WindBurner Stove System is ideal for backcountry adventures and weekend camping alike. 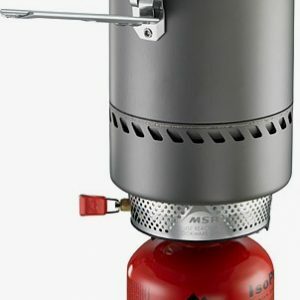 Its radiant burner and enclosed, windproof design allow the stove to boil water fast and operate in weather that leaves conventional burners in the cold. 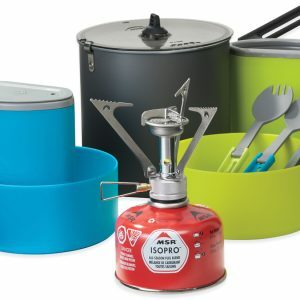 The integrated cookware with built-in heat exchanger efficiently transfers heat to the lock-on pot so you can enjoy a quick meal or hot drink after a hike, ride or paddle. 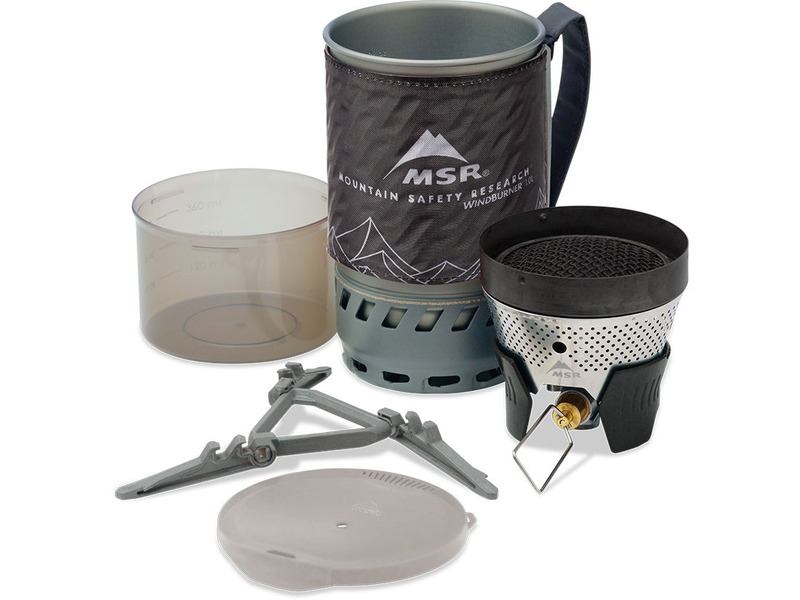 The all-in-one system nests inside its pot for easy packing and assembly—leaving more time for you to enjoy your adventure. Compact Nesting: System perfectly nests components inside the 1.0 L pot, with extra full-sized bowl snapping onto the outside. Compatible: Fits 1.0 Personal Pot, optional 1.8 Duo pot & other compatible WindBurner cookware. Not for use with WindBurner Stock Pot or Sauce Pot. 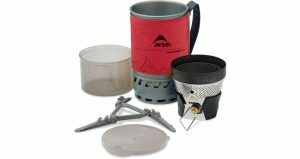 Secure: 1.0 L pot with handheld design locks onto stove and canister.